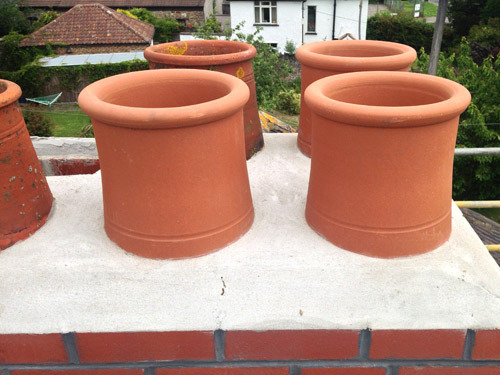 Apex can undertake chimney reconstruction and rebuilds, chimney brick repairs, chimney lining, chimney re-builds and other roof associated work. With over two decades' experience covering a wide variety of properties and retrofitted projects, we can take care of the entire spectrum of chimney work, including design, construction and maintenance. Blockages, rain, frost and fires can all cause severe damage to a chimney, rendering it unsafe or unusable. Whether private or commercial, we can work to solve any chimney problem be it major or minor.